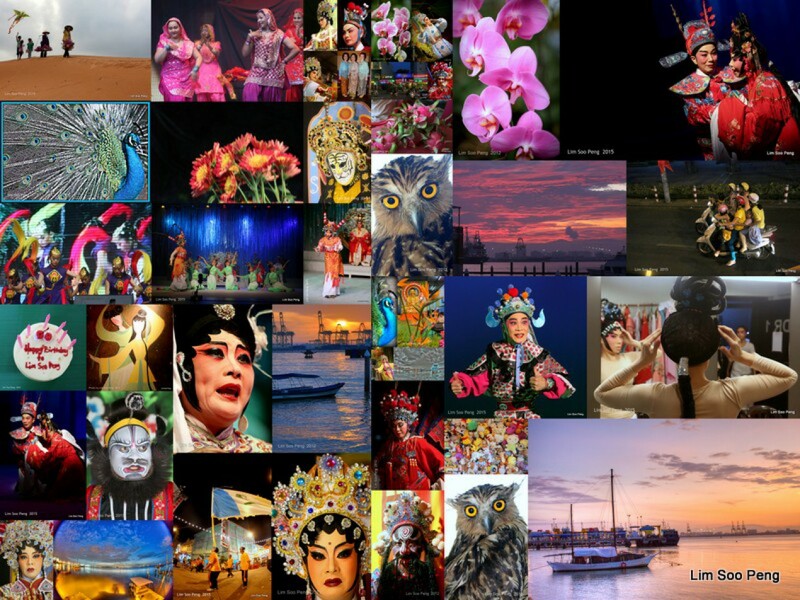 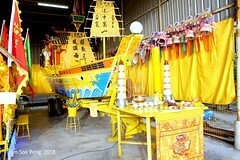 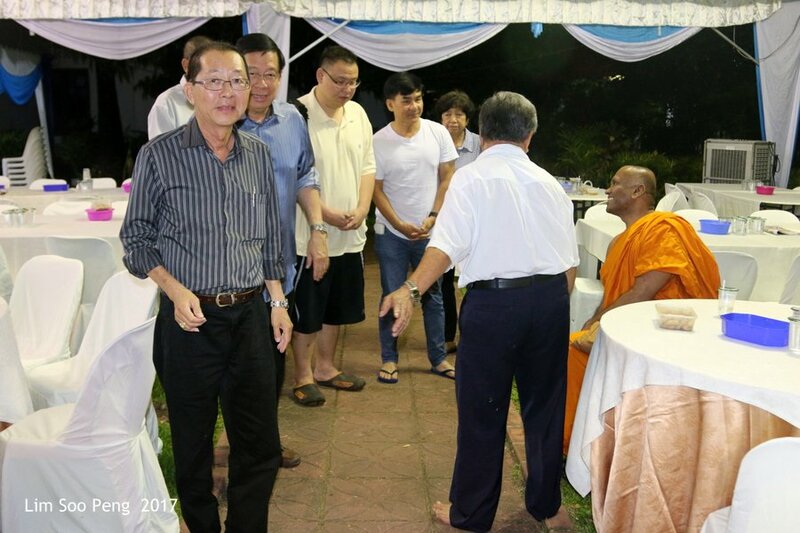 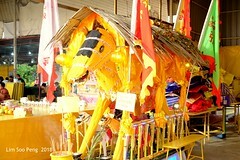 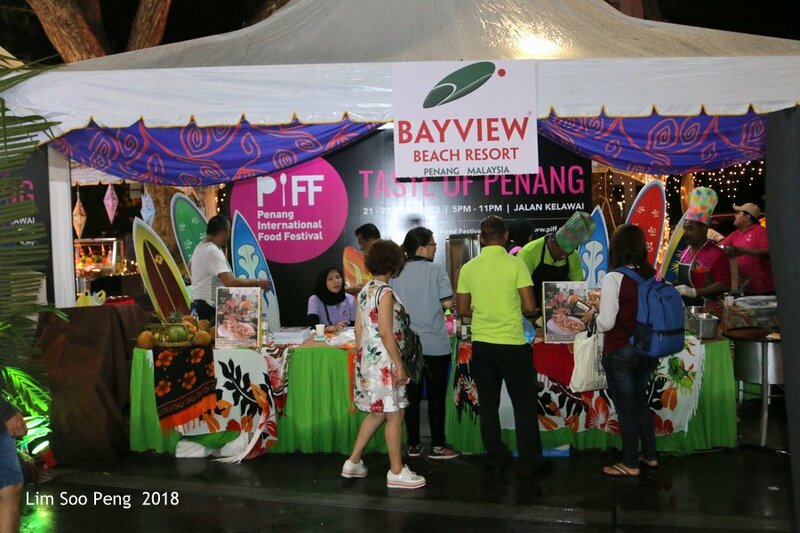 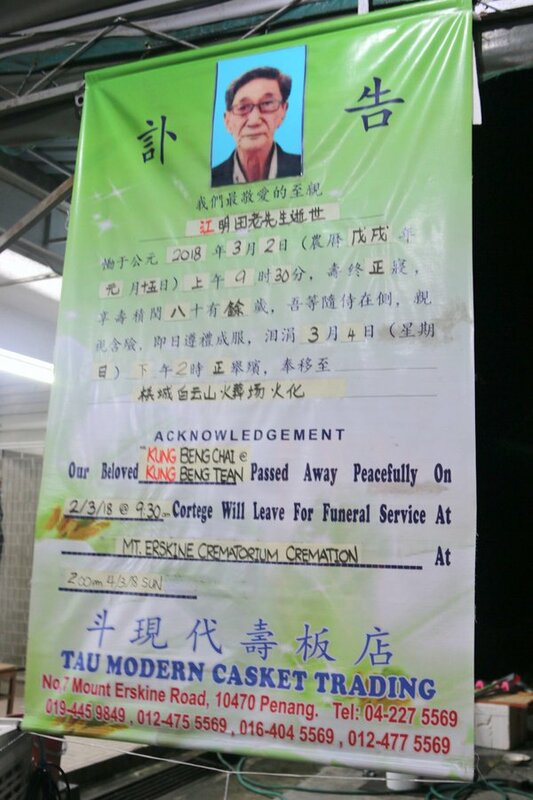 The Passing Away of our Vice-Chairman 2017 Penang Wesak Procession Committee, the late Kung Beng Tean, on Friday 2 March 2018 ~ Part 3. 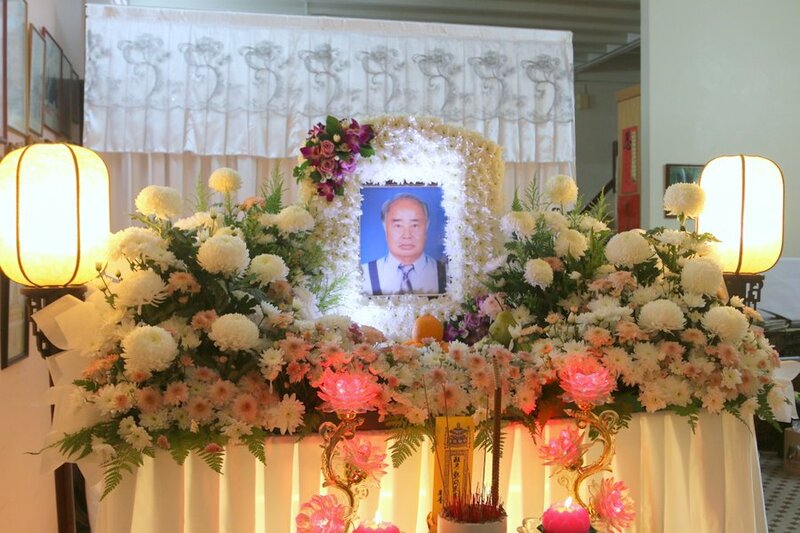 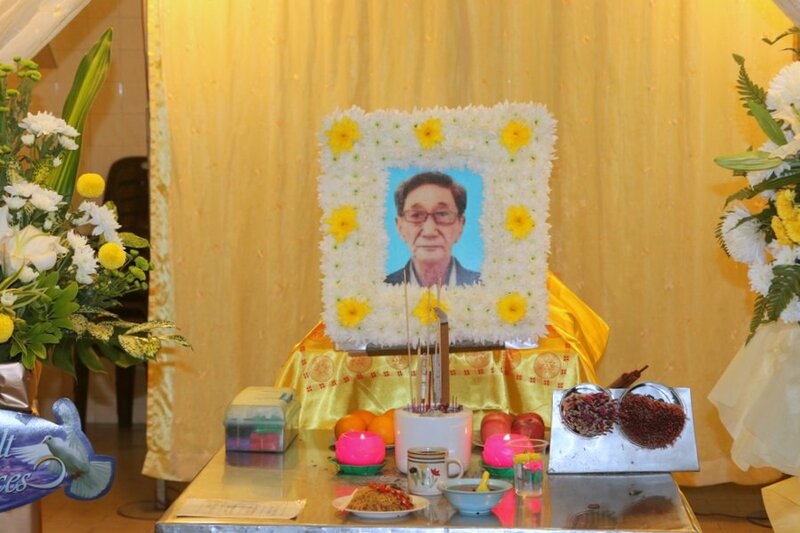 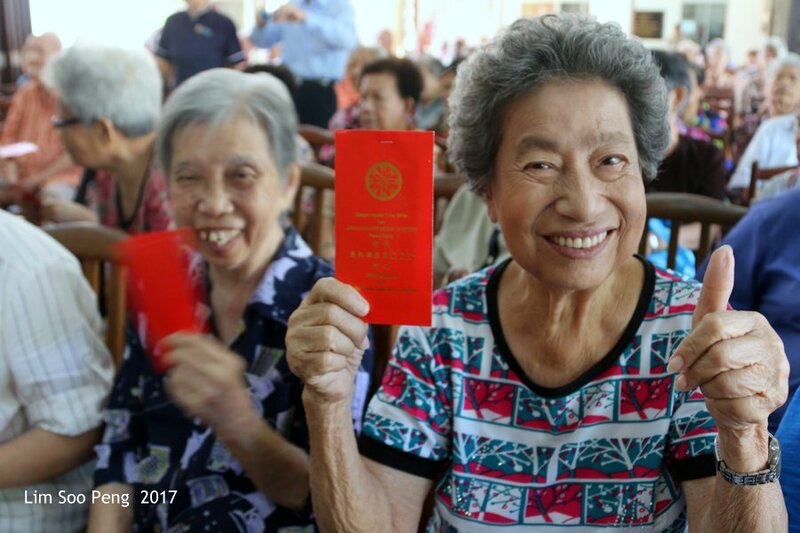 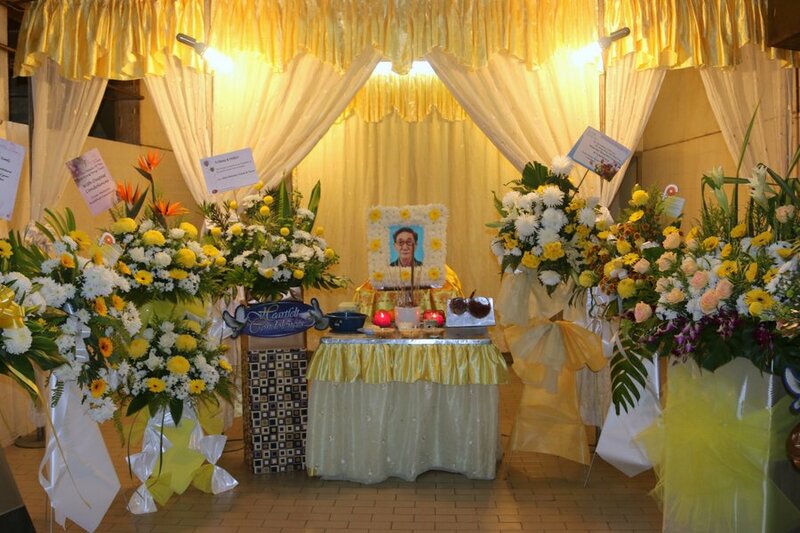 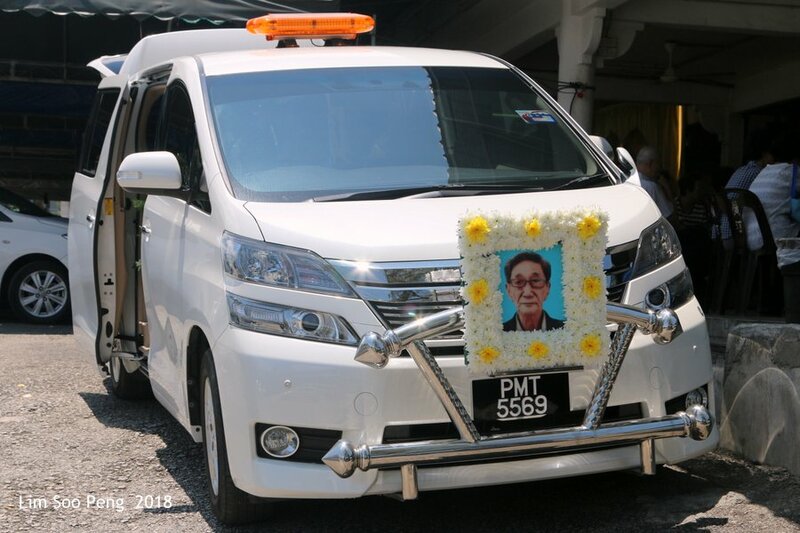 The Passing Away of our Vice-Chairman 2017 Penang Wesak Procession Committee, the late Kung Beng Tean, on Friday 2 March 2018. 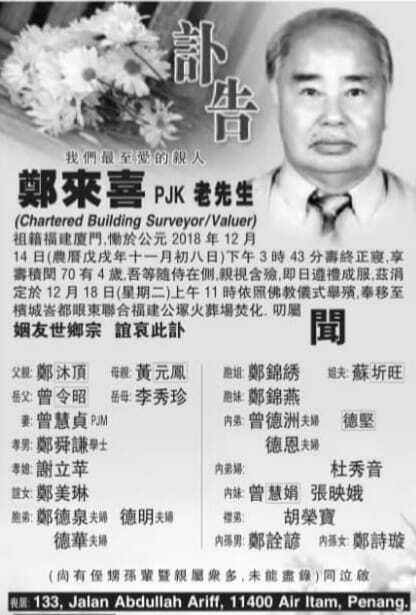 Funeral will be on Sunday 4 March from Mount Erskine Funeral Parlour at 2.00 pm. 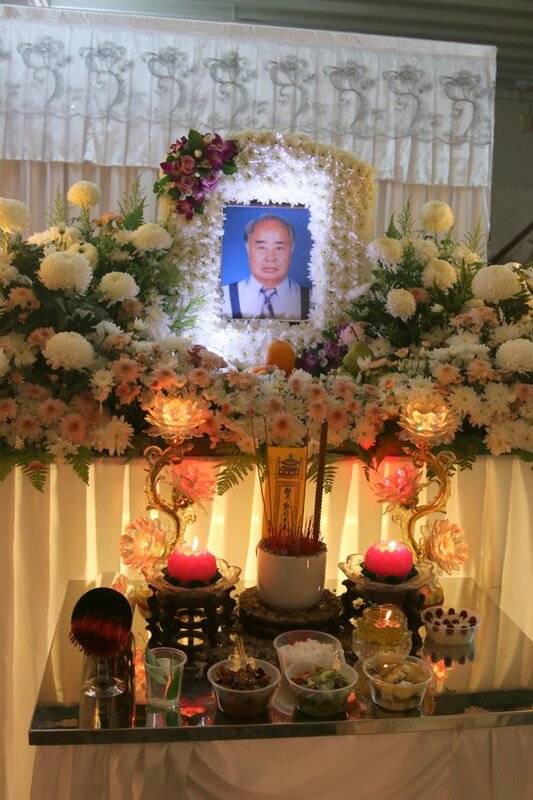 Funeral of the Late Kang Beng Tean was on Sunday 4 March from Mount Erskine Funeral Parlour at 2.00 pm to the Mt Erskine Crematorium. 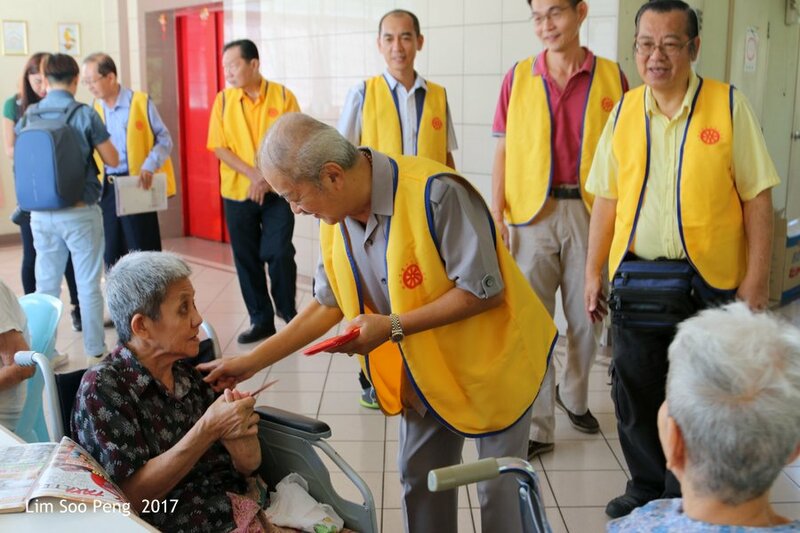 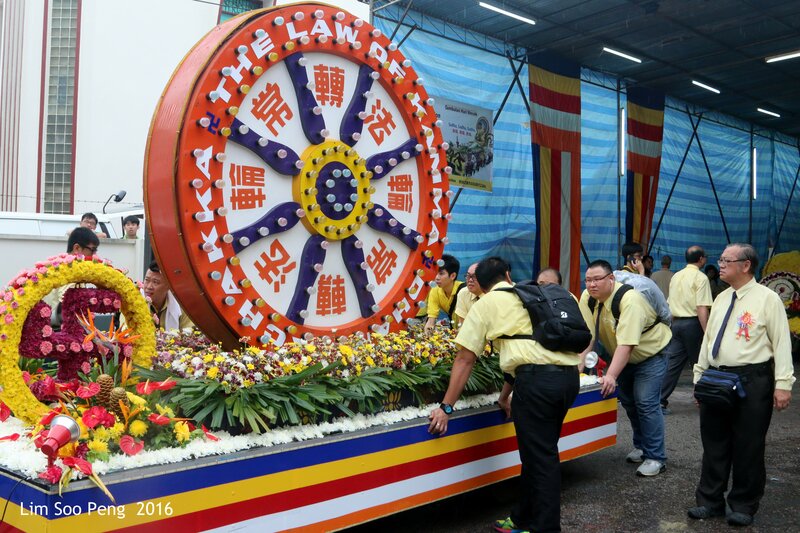 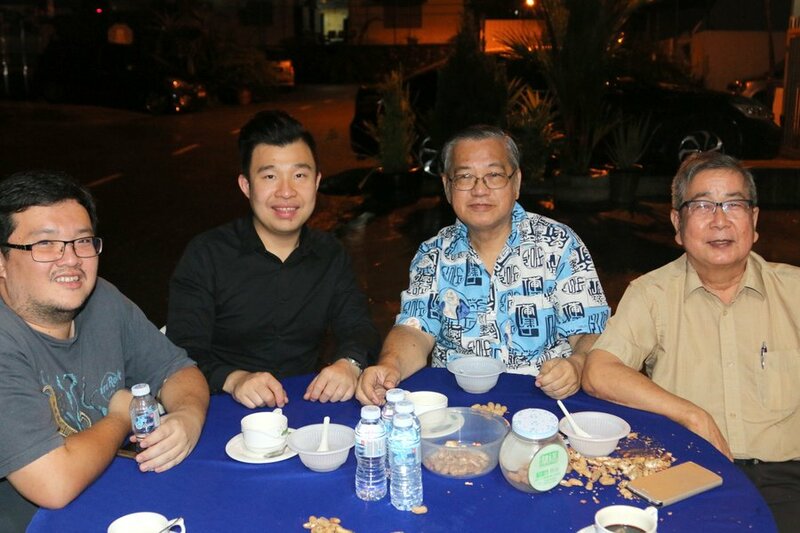 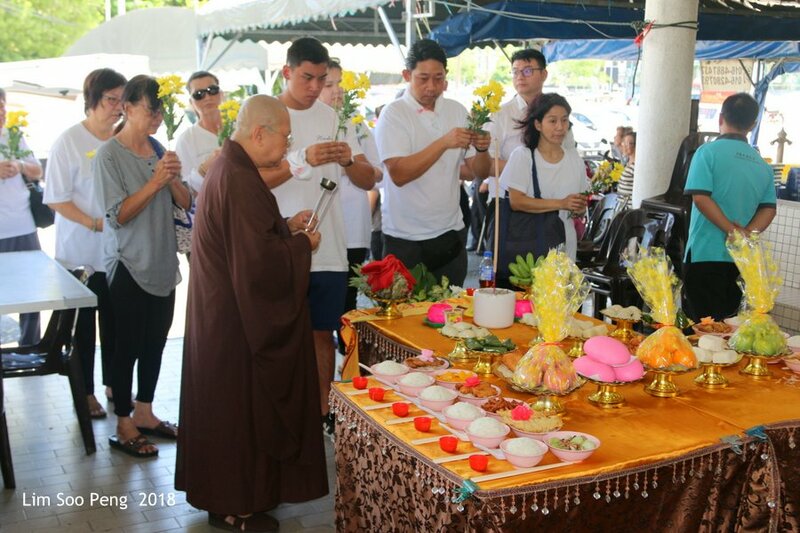 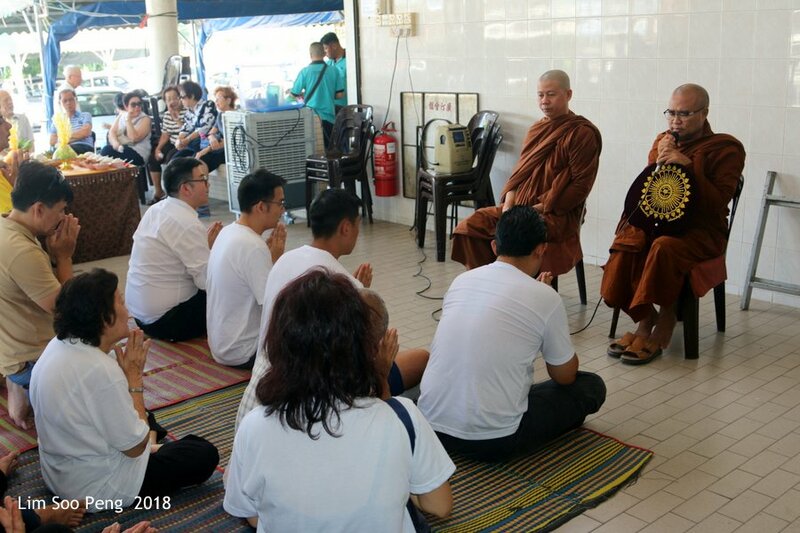 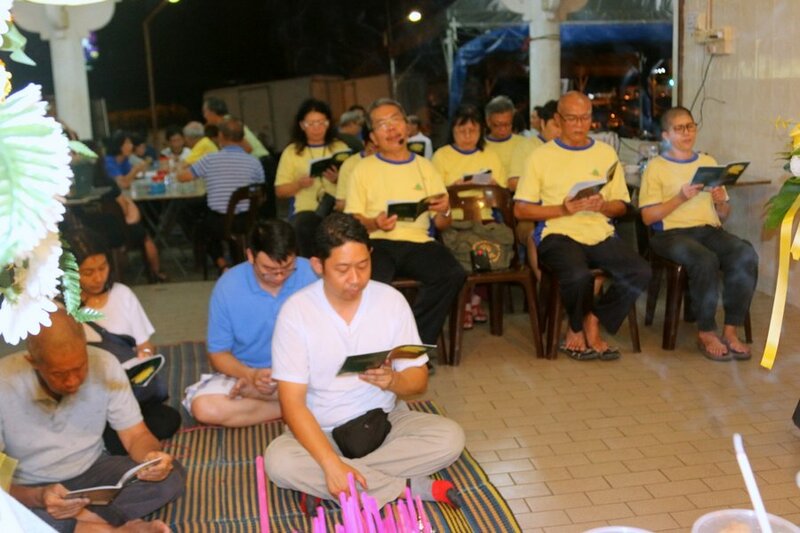 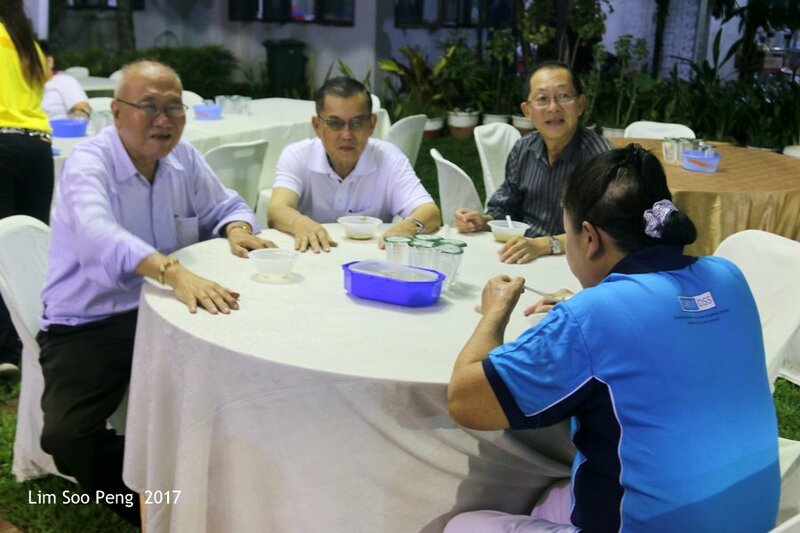 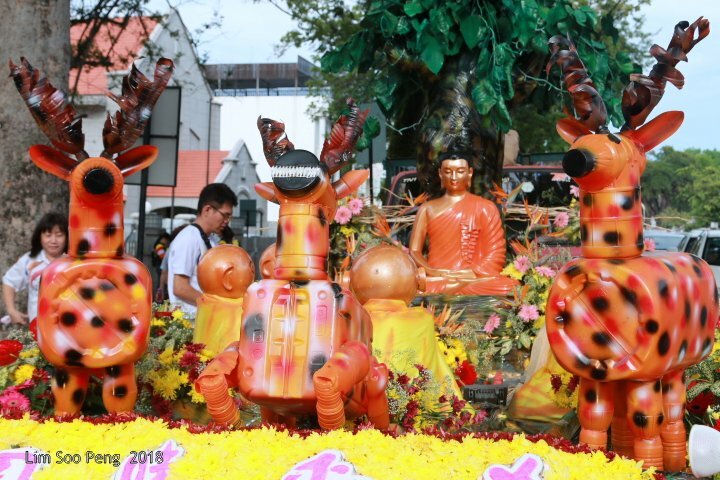 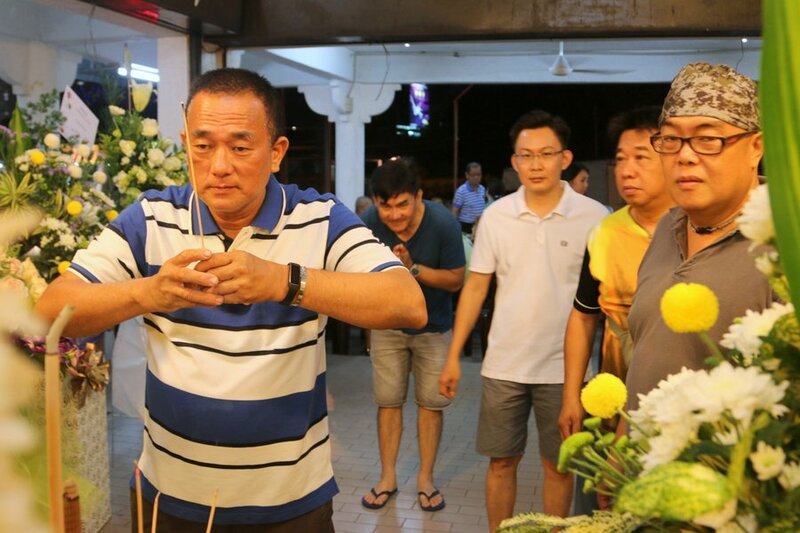 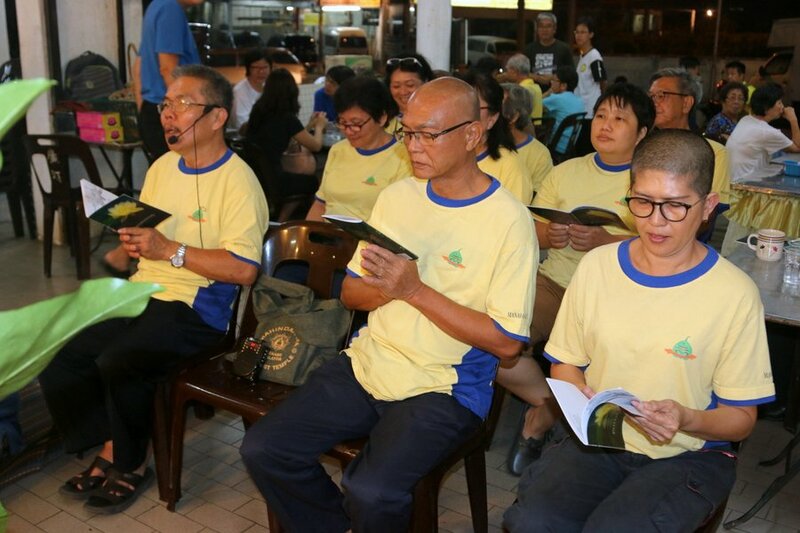 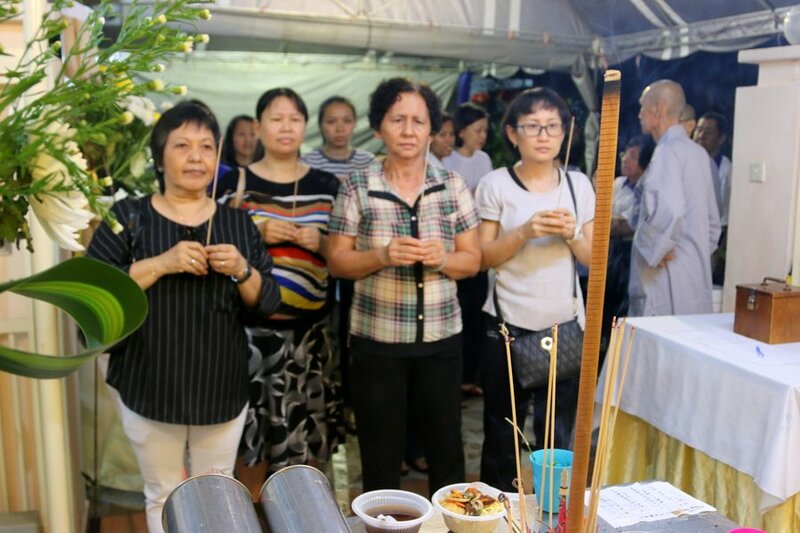 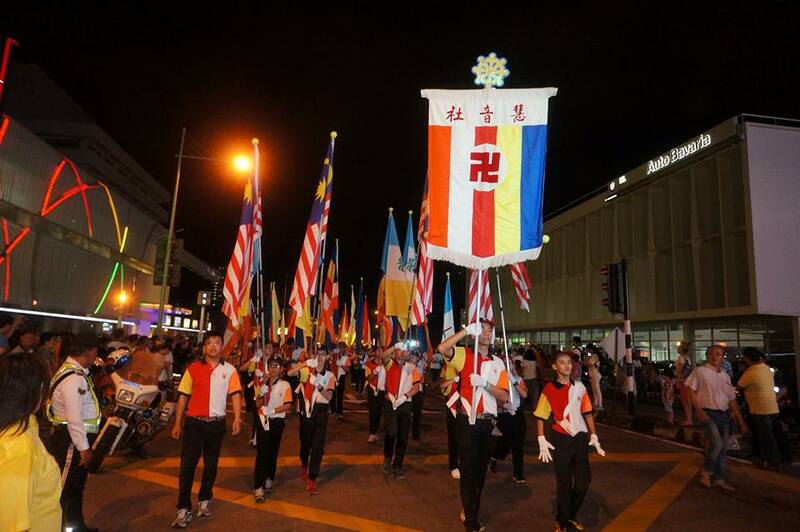 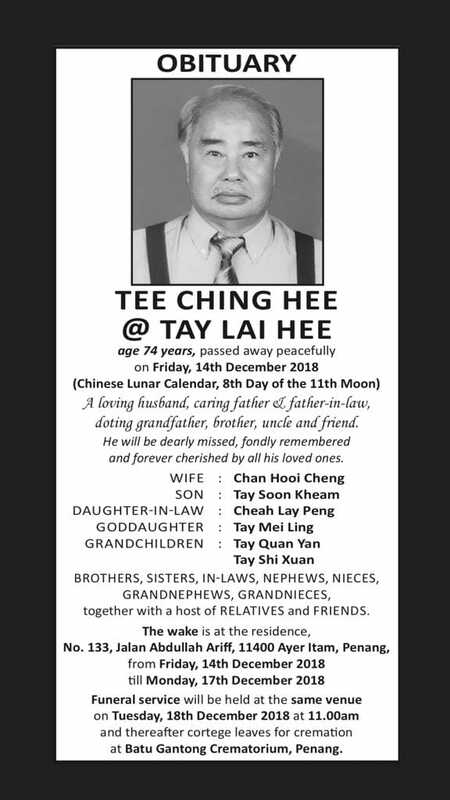 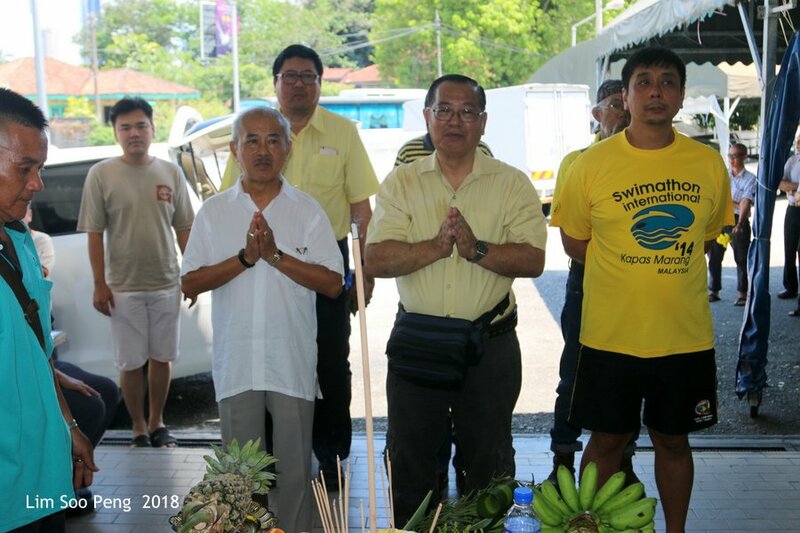 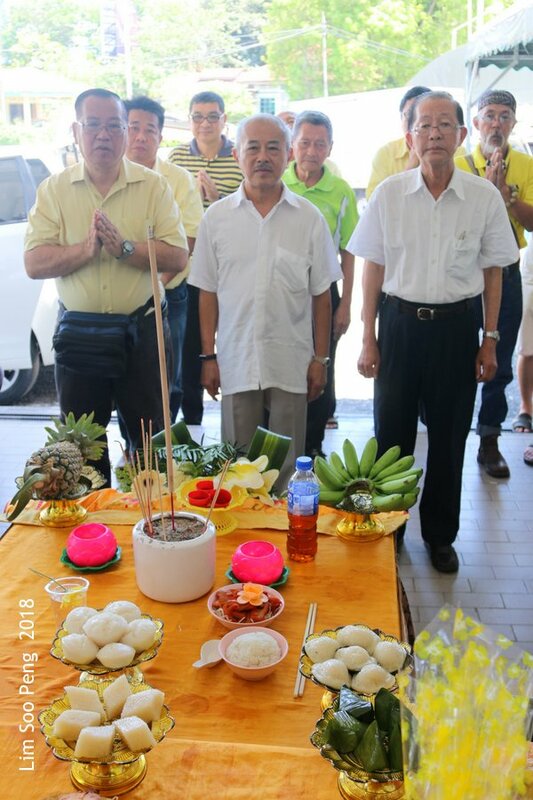 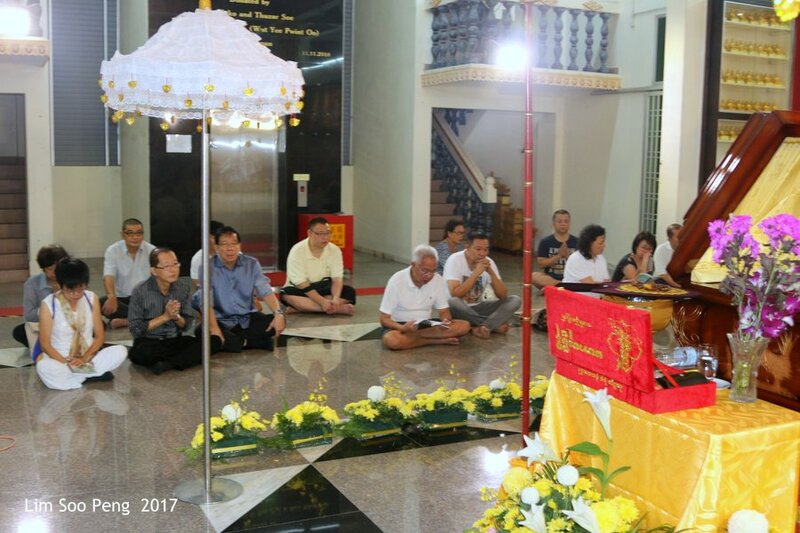 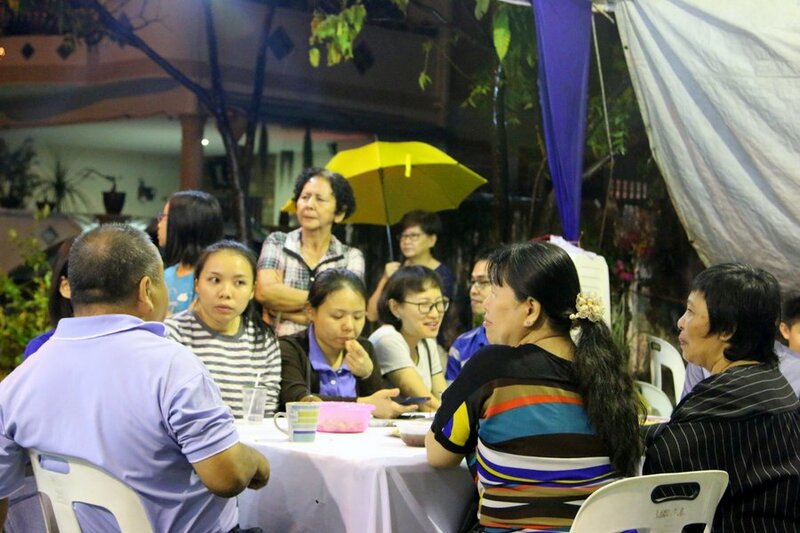 The Passing Away of our Vice-Chairman 2017 Penang Wesak Procession Committee, the late Kung Beng Tean, on Friday 2 March 2018 ~ Part 2. 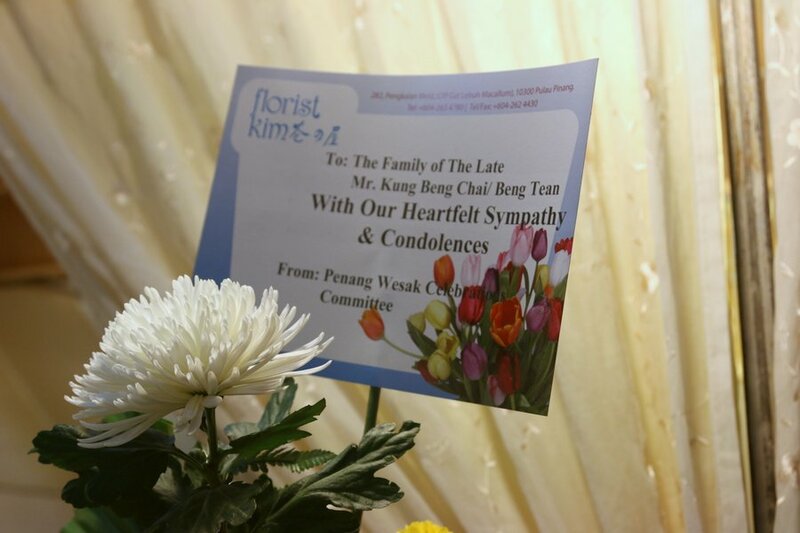 The Passing Away of our Vice-Chairman 2017 Penang Wesak Procession Committee, the late Kung Beng Tean, on Friday 2 March 2018. 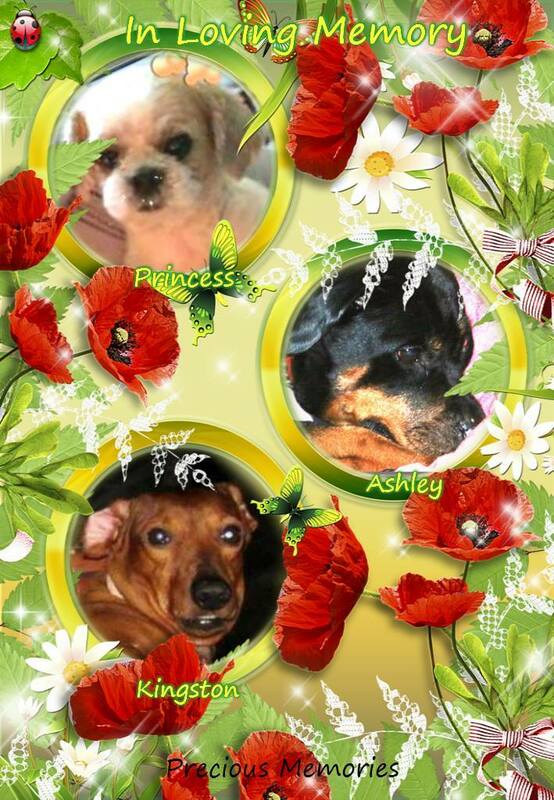 In Loving Memory Of Ashley, Kingston & Princess ~ departed in 2014. 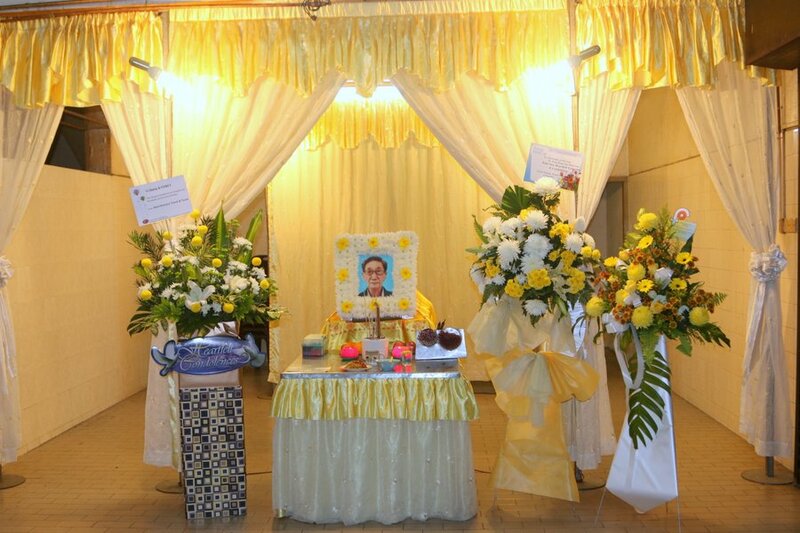 Special thanks to my sister, Cindy Lim for this memorial picture. 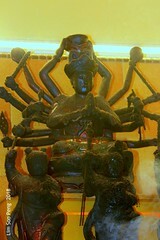 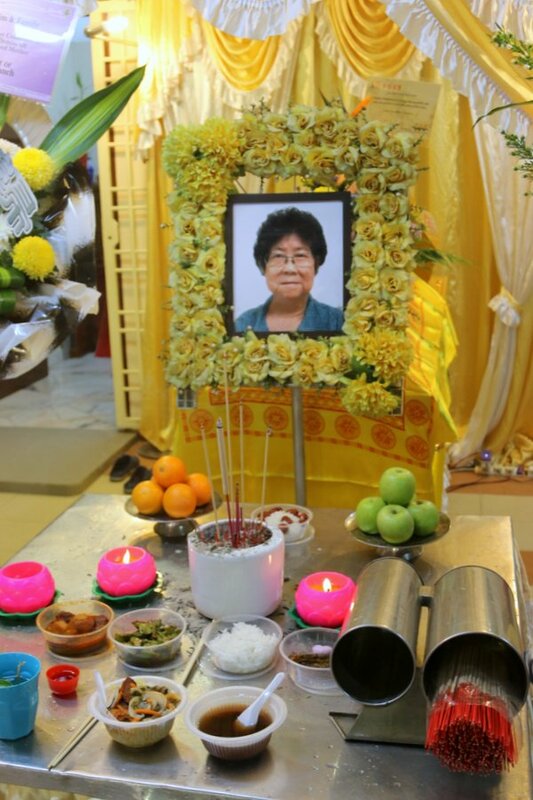 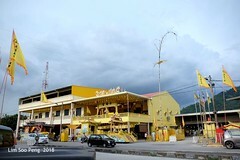 The demise of our late Aunt Mdm. 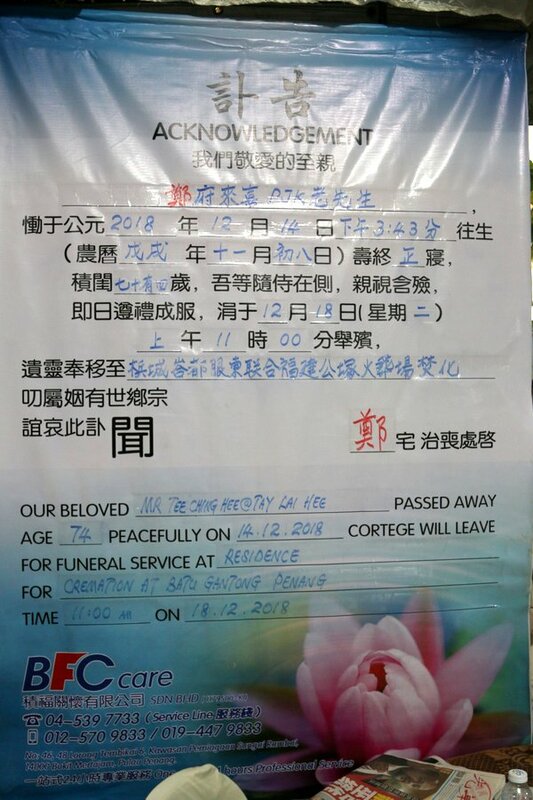 Ang Chooi Lean was on Tuesday, 23.01.2018 and the Funeral is at 2.00 pm tomorrow – Thursday 25.01.2018. 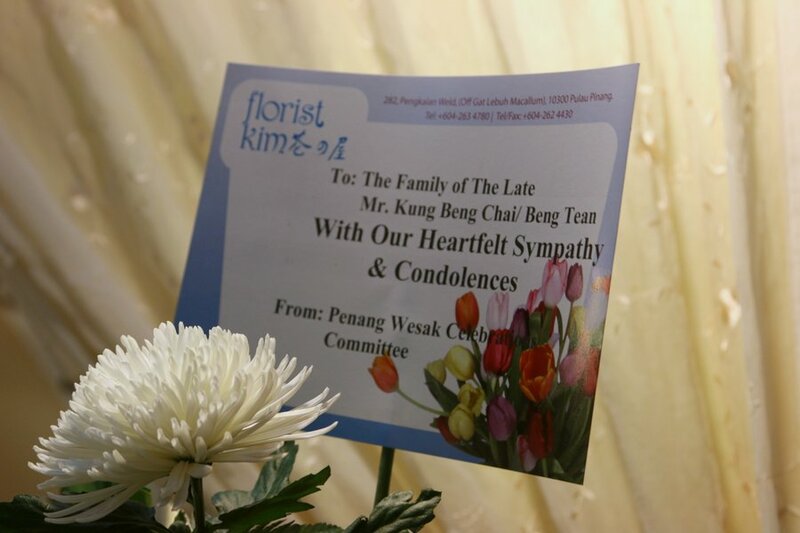 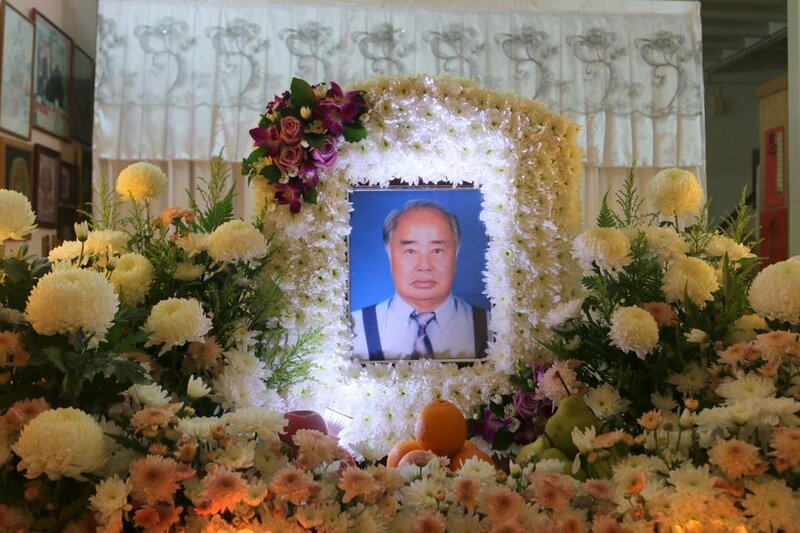 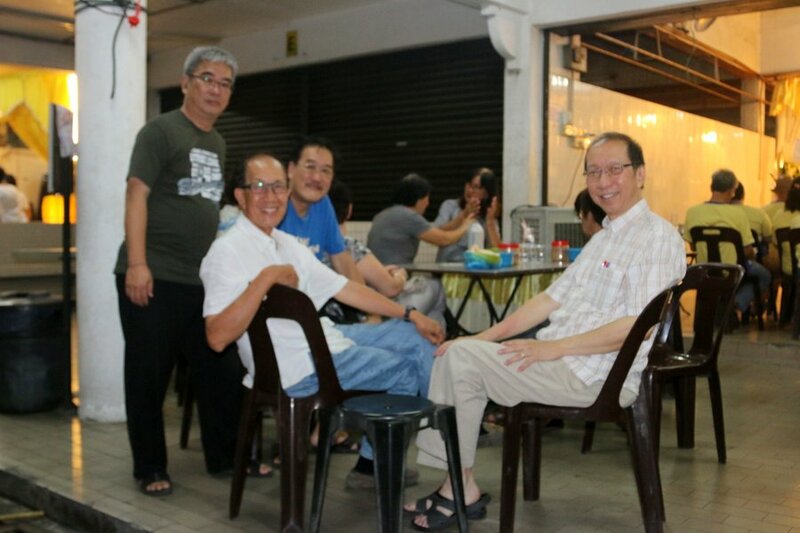 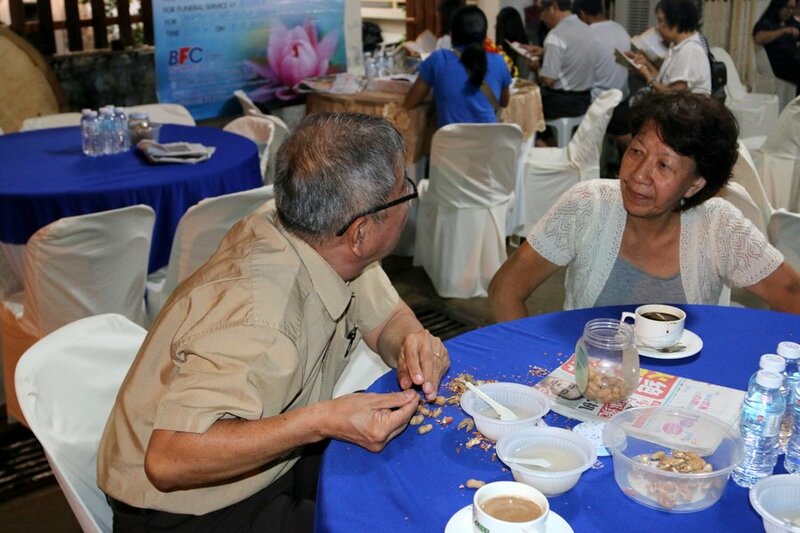 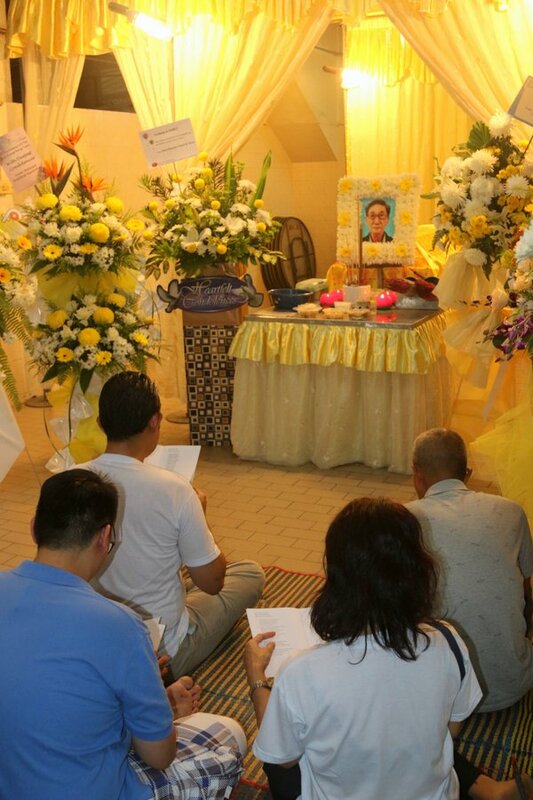 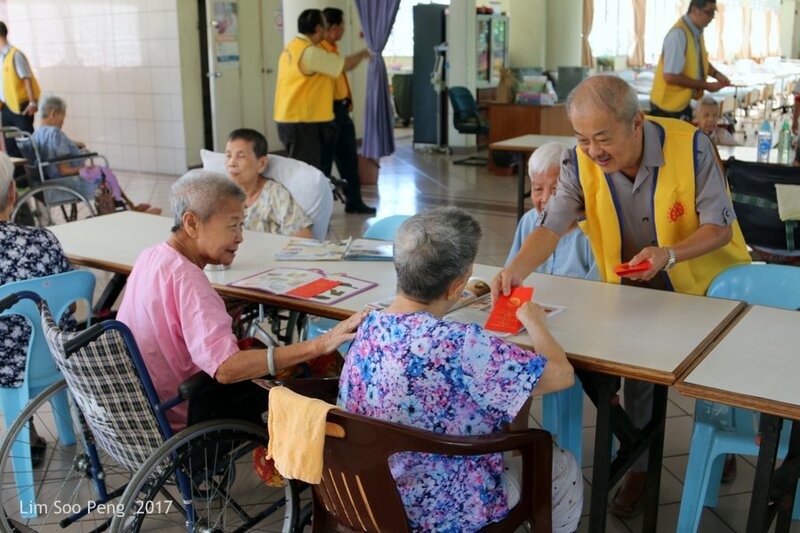 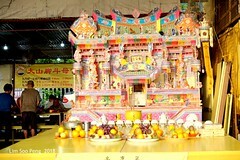 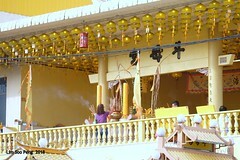 The late Aunt was the wife of my father’s younger brother Lim Ban Seng (deceased). 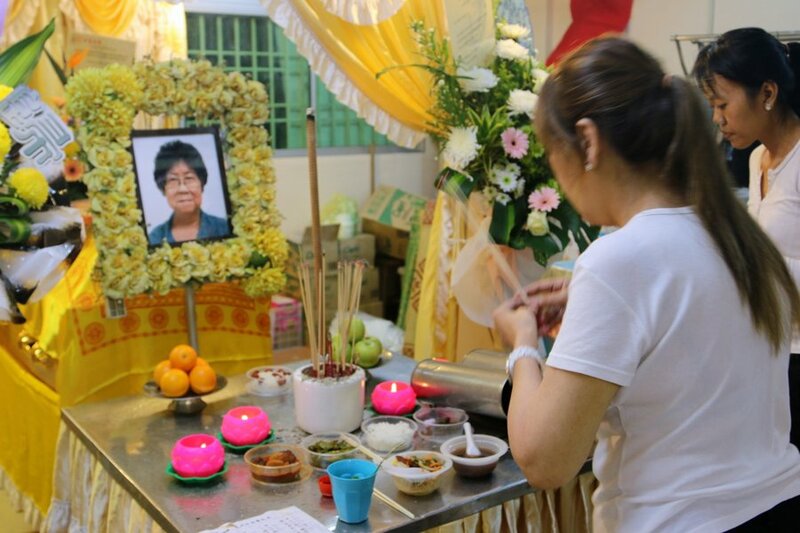 The Demise of our late Aunt Mdm. 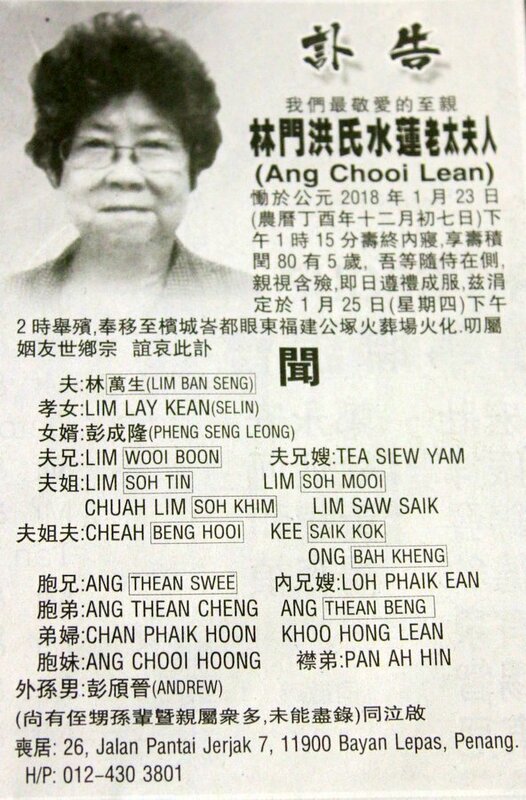 Ang Chooi Lean from the Chinese Newspaper cutting. 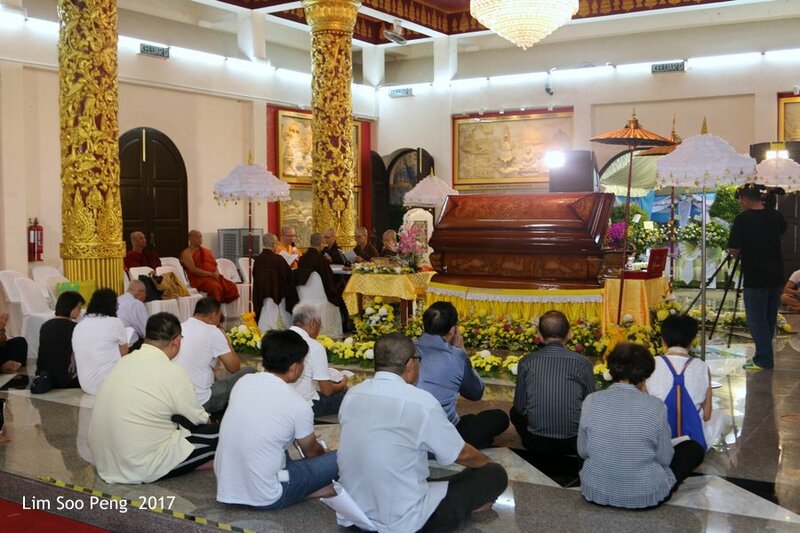 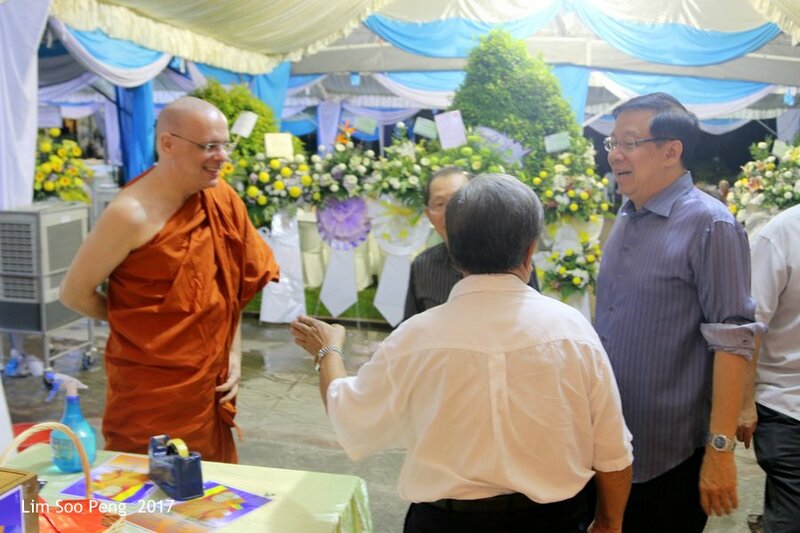 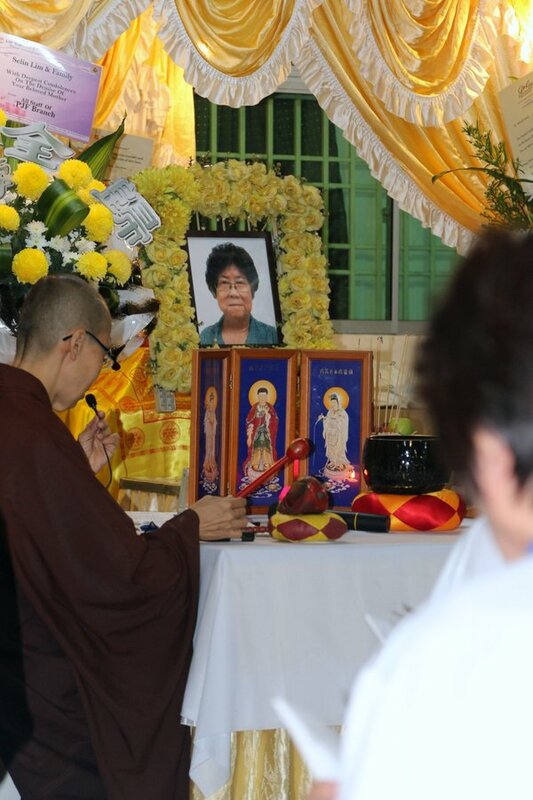 The demise of the Chief Monk of Dhammikarama Burmese Buddhist Temple, the late Ven. 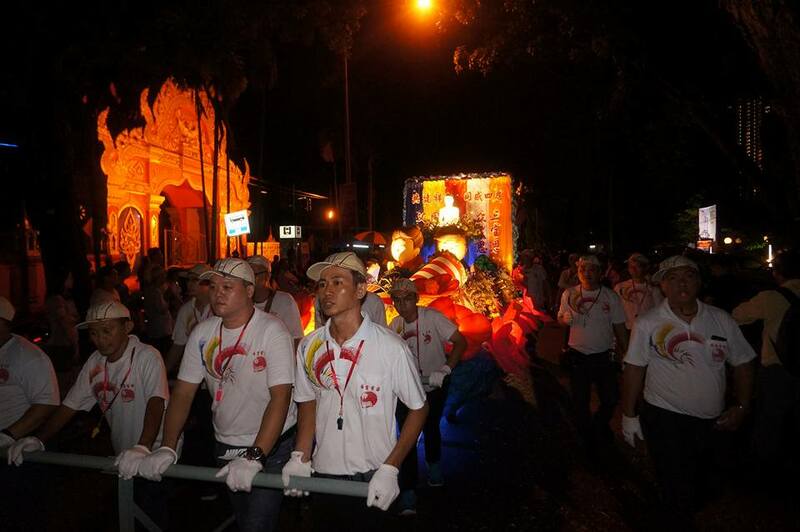 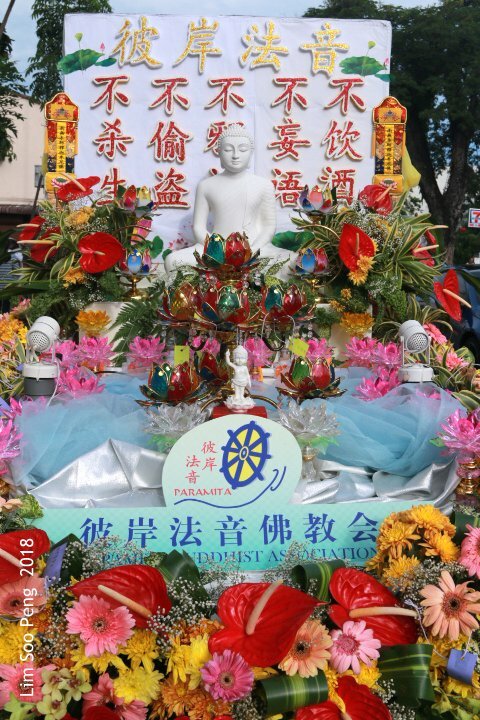 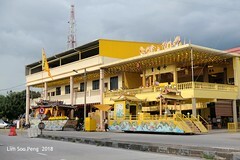 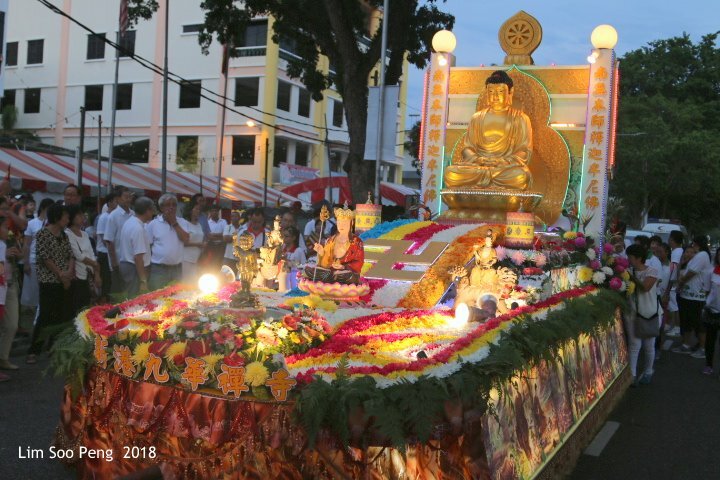 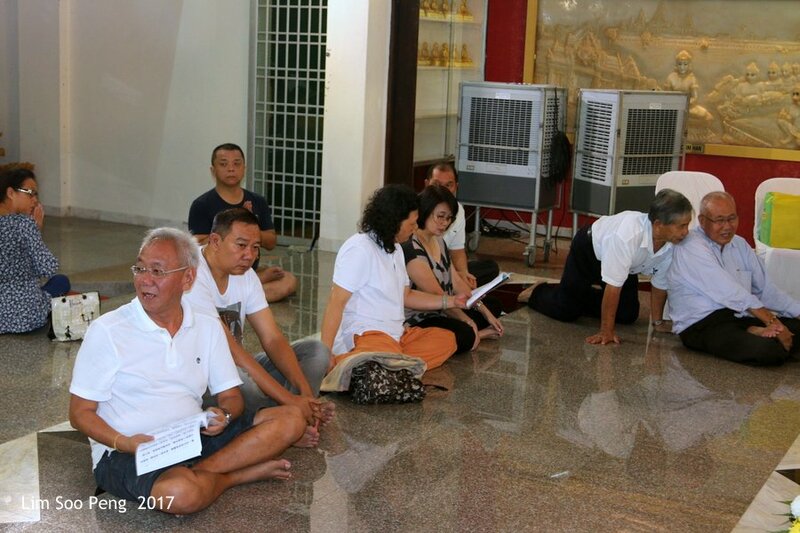 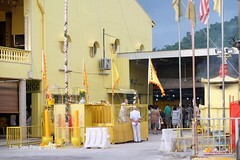 Sayadaw U Pannya Vamsa ~ Penang Wesak Celebrations & Procession Committees pay respect on Monday, 27 November, 2017 at 8.00 pm.